Linda has been a long time resident in the Bay Area growing up in Silicon Valley and now resides in the East Bay in San Ramon for the past 18 years, and had lived on the Monterey Coast part time. 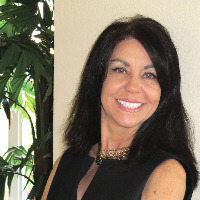 Linda is very excited to join the Intero Real Estate Pleasanton office. Linda's love of real estate and passion for interior and architectural design has come from her many years working in the publishing industry on shelter publications such as Gentry Magazine and California Home and Design, prior to launching her own publication in 2008, Lifestyle Resources Magazine, Silicon Valley, in which she launched an additional section Surreal Estate. Linda has bought and sold homes since the early nineties as investment or second homes and has no intention to slow down anytime soon. Linda wants to share the joy of the search to find you the perfect home for yourself or your family. Whether you're a first time buyer or downsizing, there is much to know and do to prepare for either transaction ensuring you the best experience at the best possible value, with a knowledgeable team to support you throughout the entire process. Behind each door and through every window, life happens and memories are created. Linda looks forward to working with you to buy your new or next home or sell your existing home. Linda enjoys staying active, and also likes to stay engaged with groups such as The Luxury Marketing Council to keep inform on the changes in the market, the new clientele entering the home market as well as keeping a close eye on the San Ramon community and the many wonderful changes that are happening. Keep Linda in mind for your new home, investment homes, second homes and if you are thinking of selling.